Mosaic Miami Beach is a 21-story building located within the mid beach area of the city, also referred to as Millionaire's Row. The building has a great location not far from the ocean as well as the sands that give the barrier island its name. The building has just six units on each floor in addition to a collection of amenities that complement the lifestyle you'll only find in the popular barrier island. Mosaic Miami Beach Mosaic proves the truth of the old adage that location is the most important element when it comes to real estate. Mosaic certainly offers one of the best locations in South Florida. 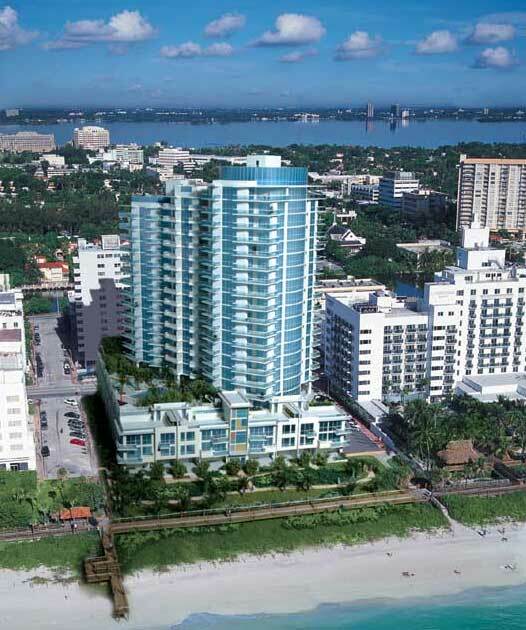 Situated on beautiful Collins Avenue, you will be literally just minutes from all of the excitement of South Beach. No detail has been left out in Mosaic. One of the most unique aspects to the units at Mosaic is that each one offers views to the East as well as to the West. Two different terraces allow you the opportunity to overlook the ocean as well as the intracoastal for superb Miami Beach views. Designed in a boutique style, Mosaic features an exclusive number of units, just 87, ensuring that you will always have complete privacy. Each of the units at Mosaic even has its own private elevator foyer entrance so that you can enjoy complete privacy. A number of stunning features have been included in Mosaic for the complete enjoyment of residents. The resort style swimming pool offers a large entertainment deck as well as private cabanas. There is also a water wall cascade, hot tub and beach services with lounge chairs included as well as an umbrella and snack bar. At the fitness center you will be able to take advantage of a juice bar, television monitors, a wide range of equipment and men and women's saunas for complete relaxation. For the more social minded, there is the Social/Club room where residents can enjoy a ping-pong table, billiards table and wet bar. There is even a full service kitchen that is ideal for parties and resident community events. A cigar locker and private wine cellar are also included in the entertainment options at Mosaic. If you enjoy movies, there is a state of the art media and theatre room with ten seats that also acts as a superb meeting room. The covered terrace also offers seating for another 60 people. Business services have not been left out either, offering a full array of services in the business center such as a copier, fax and high speed Internet access. A swimming pool with private cabanas, beach services, a media room that doubles as a meeting room, Mosaic is packed with amenities that round out the living experience. The social room is not only a great spot for mingling with friends or neighbors, it features several recreational activities including billiards and ping pong. Also look for a wine cellar, a kitchen you can use for parties, fitness center with TV monitors and much more. 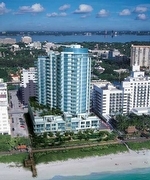 The Miami Beach condos for sale of Mosaic have two, three or four bedrooms as well as penthouses. Residential features include interiors by Steven G, European cabinetry and private elevator access. Mosaic is just south of 41st Street, a roadway that runs east and west across the barrier island and eventually turns into I-195 which leads into the city of Miami. The beach is right behind Mosaic or you can walk to 38th Street Park. Other notable sights nearby include the Bass Museum of Art, the shops and restaurants of Lincoln Road and Ocean Drive in the South Beach area. Massive covered terrace designed to accommodate up to 60 people. Social and club rooms with kitchen, billiards and ping pong tables. Interiors designed by award-winning Interiors by Steven G.